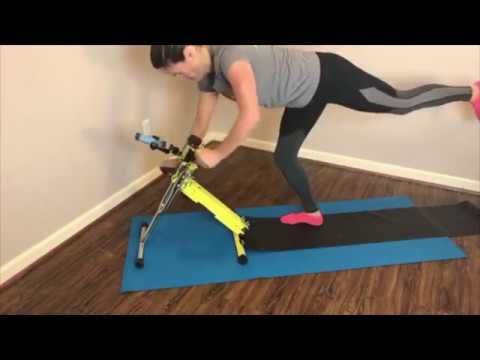 There are so many different ways to use Excy as an upper body ergometer / UBE for an amazing cardio workout, but also to strengthen our core and trunk muscles. In today’s live stream, we get into one of the positions we showed you on Day 2 of the Excy Functional Training for Life Upper Body Challenge, but then we explore several other core training moves. No matter where motion starts, everyday basic activities call on your core to perform common daily activities like putting on shoes, bathing, picking up a package, gardening, or scooping up a small child. Without a strong core, even mundane actions can become difficult or painful. So, as we age, building up a strong core not only enhances balance and stability to help prevent falls and injuries, it also directly transfers to real-world improvements in real-life activities. 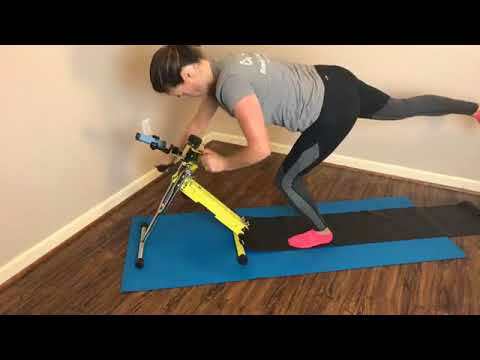 In today’s core / trunk training circuit, we use the new Excy Backwards & Forwards interval trainer in our mobile coach application, which is great for training opposing muscles, but also for cognition. Full Excy Live Core / Trunk Training Upper Body Circuit! Quick Excy Upper Body & Trunk Circuit Highlights! Don’t forget, you can always jump into any workout on-demand at www.excy.live. Always consult a doctor before starting a new exercise program. It is easy to get very sore muscles almost immediately doing high tension cranking motions that a person is not use to. Always consult a doctor before starting a new exercise routine and always start at an easy resistance level.